Food insecurity -- the inability to afford sufficient food because of inadequate income -- is a health equity issue. It affects individuals' health in the short term but has long-term impacts: children from food insecure households are more likely to have poor physical and mental health, are more likely to go to the hospital, and have poorer academic performance and cognitive outcomes in later life. We need to rethink the way we deal with food insecurity in Toronto. There are a great many people and organizations working on this issue, many of whom offer immediate and much-needed access to food for the one in eight Toronto households that are food insecure. Immediate relief is the right humanitarian response, however it doesn't get to the root cause of the problem. Unless we focus on what is generating food insecurity we will not produce a long-term solution. The mistake of missing the underlying cause of a problem is an area of interest to public health. Bruce G. Link and Jo C. Phelan have argued in their widely discussed work Social Conditions as Fundamental Causes of Health Inequalities that disparities in health are due to fundamental social causes. They investigated the causes for differences in life expectancy between rich and poor in major cities 100 years ago. They found that the disparities were mainly because of infections at that time. However, despite the fact that antibiotics and immunizations are now available, 100 years later the disparities remain. Instead of infections, diabetes, heart disease and cancers are the causes for these differences in life expectancy. Link and Phelan think that access to information, money and power are the underlying reasons for disparities in health. The rich have access to an environment, lifestyle and services that promote their health. The theory is that unless you focus on these fundamental social causes disparities will remain. It's the difference between treating the symptoms rather than the cause. 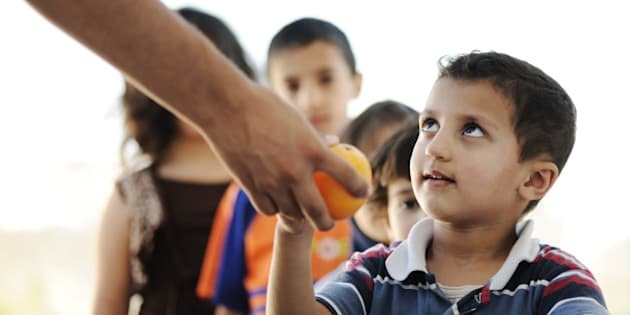 Food insecurity is a disadvantage that follows people throughout the life course, further deepening inequities in access to education, jobs, and housing. High rates of food insecurity have a major impact on Torontonians' health. First, food insecurity impacts individuals' diets -- food insecure adults and children will make trade-offs and choose less healthy, cheaper options and skip meals. But there is also a significant psychological impact of food insecurity: food insecure individuals experience anxiety while thinking about what they are going to eat next, and need to ask friends or family for food, or need to secure food through charitable means, such as from a food bank. Food banks are one of the most well-known responses to hunger and food insecurity in Canada, and food bank drives are some of the most prominent events raising awareness of the growing problem of food insecurity and hunger in Toronto. The need is big, and food bank use is enormous: there were nearly 900,000 individual visits to food banks in Toronto in 2015. The simple fact is that for individuals and families who have low income, sufficient and nutritious food is unattainable. However, as the Daily Bread Food Bank points out in their 2015 Profile of Hunger in Toronto, food bank use only scratches the surface: many of those who need help do not even use food banks. Food banks continue to provide emergency food assistance because they are filling a gap that no one else is. Their work and advocacy is much-needed, but they aren't able to drive the systemic change that we need to address the fundamental problem of persistent hunger experienced by too many Toronto families. Inadequate income is a persistent problem for decreasing food insecurity. One of the main drivers of food insecurity is income. The City of Toronto has a useful measure to help us understand the scale of the problem of food unaffordability. Every year, the city calculates the cost of a "Nutritious Food Basket" that feeds a family with a basic, healthy diet. Since May 2010 the cost of healthy eating has risen 18.4 per cent, while the minimum wage has risen only 9.8 per cent, and it is estimated that over 20 per cent of families cannot afford this basic healthy diet. For example, a mother of three on social assistance living in Toronto would only have around $100 per month after paying rent and other expenses to spend on food -- over $500 short of the estimated cost to feed a family of this size. The simple fact is that for individuals and families who have low income, sufficient and nutritious food is unattainable. Solutions to address this problem such as increasing minimum wage to reflect a living wage, and providing a basic income guarantee for all Canadians would help address the problem. There is evidence to suggest this can work: when Old Age Security and the Guaranteed Income Supplement were implemented for Canadian seniors, the prevalence of food insecurity among seniors fell dramatically. We can do the same for the rest of the population by examining these and other ways to ensure everyone is able to afford at minimum a nutritious diet. The province has made progress increasing minimum wage and social assistance rates, and has, like the city of Toronto, developed a Poverty Reduction Strategy, but the cost of food is increasing at a faster rate than incomes.